With that…the regular season is FINISHED.  This past weekend we had a mix of postseason (USAG Nationals) and a final taste of regular season action (Michigan vs. UIC/Stanford vs. Cal). Before we get to our in-depth breakdown of what you’ll be seeing at each conference championship this weekend, we’ll take a quick look at what happened this weekend. If you’ve been keeping track of things this season, you knew Navy was the front-runner heading into USAG Nationals. Based off the way they competed, they seemed to realize that too. With a 400.7, the Midshipmen captured their first USAG title since 2008. How’d they do it? It was a team effort, as it has been all season. But in reality, it came down to the event that has been their bread and butter all year: high bar. Their 67.3 outpaced the rest of the varsity field by over three points, and it made up for one of their weaker pommel horse rotations. Stepping up to compete all-around for the first time since February 15 was Ryan McVay who compiled a 78.75 – best in the varsity field. Navy will hope to ride this wave of momentum into ECAC’s. Meanwhile, the victor in the gymACT field was no shocker as Arizona State took home an amazing thirteenth-straight team title. The Sun Devils are taken to a different level with the presence of Kiwan Watts. A definite threat for All-American all-around honors were ASU a varsity team, Watts even had his team nipping at the heels of the Mids as the Sun Devils finished the day with a 393.55. Still, he was far from alone in this endeavor as freshman Jordan Williams had a 78.5 and Kirk Malm stepped up with solid scores of 13.15 and 13.0 on two tough events, PH and HB. Check out full event final results here. Michigan didn’t get off to a blazing start in their Senior Day win but were able to pick things up over the final four events, averaging a 68.65. Things to note: the return of Emyre Cole, for one thing. The senior notched an 81.2 in the all-around and, needless to say, his presence will be more than necessary for the Wolverines in Iowa City. Cameron Bock had a fine day as well, leading in all-around (83.4), PH (13.9) and HB (13.65) though neither counted toward the team score. UIC ended their regular season with their third-best score of the year, a 367.75. Xan Weaver (75.35) and Sam Montague (74.85) set themselves up to make some waves at ECAC’s, leading this young Flames team into their most important meet of the year. In our last installment of Stanford-Cal for the regular season, the Cardinal took care of business, per usual. Freshman Brody Malone couldn’t be more ready for the postseason — his 85.2 was a season-best. As for Cal, they continue to ride their freshman phenom, Darren Wong. The rookie’s 81.3 was his third-best of the year. A top-three all-around finish at MSPF Championships is not out of the realm of possibilities. A.) What’s going right for them. B.) What’s going against them. C.) An X-Factor gymnast whose performance will have a major impact. D.) An X-Factor event where the team’s performance will be crucial. At the conclusion of each conference breakdown we’ve included individual predictions (from writers Logan Bradley, Alex Wittenberg and Ben Cooperman) for winners of the team competition, as well as all-around and all six events. What’s going for them: High bar. En route to their 2018 Big Ten title, the Illini put up arguably the best high bar lineup we have seen in the new code. Their 2019 lineup is without Tyson Bull, Bobby Baker and Chandler Eggleston, who made up their core on that event. It is a tall order to fill the void of those three but Michael Fletcher and Ross Thompson, amongst others, have shown that Illinois can distance themselves from the field with their high bar team. What’s going against them: Injuries. Every team has injuries. This is not an excuse for Illinois — more of a challenge. After losing Clay Stephens for the season, Justin Spring and his staff will have to be creative to fill the holes left in their lineups. The loss of Danny Graham has been less talked about. The junior was well on his way to establishing himself as one of the top still ring guys in the country when he went out earlier this season. Bottom line: the Illini will rely on young talent to step up in the face of adversity. X-Factor gymnast: Hamish Carter. The buzz amongst the NCAAMGym community this past Fall when it was rumored the British phenom had not only committed to Illinois, but would be competing this season, was unlike anything we have experienced before. Here we are, deep in the season, with the freshman in a big spot. His touches have been lighter this season as he has gotten back into routine shape, but he will now have to really come alive in the wake of the Stephens injury. X-Factor event: Parallel bars. While Stephens was big on multiple events, the Illini are scrambling to replace his parallel bars set where they lack depth. Their season finale in Columbus illustrated this problem. Someone is going to have to step up to get Illinois through this rotation and in striking distance of the title. What’s going for them: A title. Iowa finished the season with a share of the Big Ten regular season title, marking a new era of Hawkeye gymnastics. They competed consistently during the season with routines that weren’t high on difficulty but were on execution. Iowa gets to enter the regular season with newfound assurance and the data to back it up. What’s going against them: Low difficulty. While the low-D, high-E strategy paid dividends for Iowa throughout the regular season, it could hurt them during championships, when the top teams tend to put up high hit percentages — even a perfect meet could leave Iowa off the podium if the teams with higher D scores perform well. That said, things could go the other way just as easily, and Iowa’s clean and consistent gymnastics could pay off once again. X-Factor gymnast: Jake Brodarzon. Brodarzon is most importantly the spiritual leader of the Hawkeye squad, but he’s also been a consistent four-event performer throughout the season. Brodarzon knows how to rally his team at important moments, and keeping spirits high is especially important at a championship meet. X-Factor event: High bar. For as consistent a season as Iowa has had, high bar has been an exception — the team has wavered between a season-low of 63.5 and a high of 67.3. High bar can be just as pivotal an event as pommels, so Iowa needs to be on the upper-end of their range to avoid falling behind other teams. What’s going for them: They’re a year older. Everything gets better with age. That includes a dynamic freshman class from last year that now has the experience of finishing runner-up at a B1G Championships. Cameron Bock and Jacob Moore are extremely talented and now know what it takes to be successful in a tough conference. What’s going against them: Pommel Horse. The Wolverines haven’t necessarily been bad on horse this season, they just haven’t shown the ability to really hit it out of the park. Their high of 66.6 is tied for the lowest in the conference with Nebraska. X-Factor gymnast: Anthony McCallum. McCallum has battled injuries all season long, but provides a spark on vault that nobody else in the country can. His tsuk double pike might be the most impressive piece of gymnastics you’ll see all weekend, and if he goes about it as he has all season, what a boost it is for Michigan. X-Factor event: High Bar. The Wolverines found themselves in a groove on high bar during midseason. Three consecutive 67+ scores gave way to a pair of low 65’s over Michigan’s final two meets. Stay on the bar and the Wolverines will be squarely in the hunt. What’s going for them: Momentum. A theme for many teams, but for Minnesota it’s true in so many respects. First, you have to be thinking that this team’s confidence is still high stemming from their NCAA runner-up finish last year. Second, the 2019 regular season couldn’t have ended much more perfect with them scoring a season-best 410.95 to take care a pair of conference opponents. Talk about a high note. What’s going against them: Ugly B1G History. Despite being an extremely talented team for the past five or so seasons, the Gophers have struggled at B1G Championships, failing to produce a top-two finish. No doubt about it, this team has what it takes to do much more than just finish top-two, but can they forget about the past? X-Factor gymnast: Shaun Herzog. Herzog, a senior who is dealing with a plethora of health issues, is one of the most talented Gopher gymnasts, right next to Shane Wiskus. The senior hasn’t been quite as effective of late, but still is someone who can put his team over the top. With his collegiate career coming to a close, he’ll have to do his best to fight through the injuries and come up with a big performance for his team — especially with fellow senior Vitali Kan set to miss the meet with a broken hand. X-Factor event: Still Rings. Notoriously a weak event for Minnesota, still rings has been a roller coaster ride over the final three weeks: 69.6, 63.15, 66.75. Which SR squad will show up for the Gophers? What’s going for them: Momentum-changing routines. Nothing is more important in a championship meet than a potentially momentum-changing routine. Something that can take a team’s energy up another notch. The Huskers have that, namely with Anton Stephenson’s vault, but also have a few of those same types of sets on floor and high bar. The Huskers are one of those teams who are capable of riding a wave during a meet. What’s going against them: Still Rings. Nebraska’s arch-nemesis for years now, do the Huskers have enough in the tank on SR to keep up with their conference opponents? X-Factor gymnast: Griffin Kehler. In my opinion, Kehler is one of the most underrated gymnasts in the B1G. While being a more-than-capable all-arounder, Kehler is probably best suited in a three-event role as he has been utilized over the last two meets. He can be top-tier on floor, parallel bars and especially high bar. X-Factor event: Floor. Nebraska’s bread and butter for many of the last five years, they haven’t found the same success in 2019. Yet to hit 69.0 on the season, have the Huskers been saving up that special rotation for this weekend? For them to raise a trophy, they’d better hope so. What’s going for them: Momentum. At the beginning of the season, it seemed clear that the departure of Sean Melton was going to be too much for this young team to handle. Beyond losing a top guy, the routines they were putting out on the floor were sloppy. That narrative has changed and Ohio State’s ascendance culminated in an upset win over Illinois to end the regular season. Simply put: the Buckeyes are peaking at the right time. What’s going against them: High bar. Ohio State is currently ranked No. 14 in the country on high bar, placing them last in the Big Ten. They’re relying on a young lineup following the departure of Seth Delbridge (and Melton) that has not yet proved itself in big moments. Freshmen are going to have to step up to keep the team’s head above water when they head to high bar. X-Factor gymnast: It may be cheating to select two guys for this, but the role these two freshmen will have to play is not an easy one. Jesse Tyndall and Angel Leon face the daunting task of replacing the aforementioned Sean Melton. Everyone knows Alec Yoder, but the two underclassmen will serve as the glue for this team come championships. X-Factor event: Pommel horse. Pommel horse has been a terribly weak event across the country this year. The Buckeyes have been one of the few teams to defy that standard as their No. 1 rank speaks for itself. They feature a transcendent horse worker in Alec Yoder who is joined by other great talents, including David Szarvas. If they can hit, pommel horse could give Ohio State a big edge on the competition. What’s going for them: Pommel horse. Penn State has the good fortune of getting to call pommel horse one of their strengths. That puts them at a huge advantage in the NCAA this season. The Nittany Lions are ranked second in the Big Ten and have the conference’s top score on the event. If they stay on and Stephen Nedoroscik does what he can — he’s entering the postseason with a 15.133 NQA — PSU will have a significant lead over other Big Ten teams on the event. What’s going against them: Late-season setback. PSU showed a lot of promise in their narrow loss to Michigan and victory over Illinois last month. But a week after that, they went to Minnesota and posted just a 398.2, which didn’t challenge their two Big Ten rivals. Their performance wasn’t indicative of the team’s potential, but finishing the regular season with a big loss leaves a bad taste in the mouth. That could, of course, prove to be a huge motivator for PSU. X-Factor gymnast: Wyatt Tyndall. Tyndall has shined this season on an event on which PSU has struggled: parallel bars. Penn State is ranked last in the Big Ten on the event, meaning Tyndall’s contribution is event more crucial. He’s also a strong contributor on floor, vault and high bar. Tyndall can fill in the gaps on events like PB and vault and can help Penn State capitalize on their strengths like high bar. X-Factor event: Parallel Bars. As noted, PSU has struggled on parallel bars throughout the season. One notable example was during their tri-meet with Illinois and Michigan, when they put up a 62.5 to let the meet slip out of their hands. Fortunately, PSU has hit as high as 68, so their PB performance will likely be pivotal in their quest for a Big Ten title. What’s going for them: A setback. Army placed fifth at the USAG Championships last weekend, nudged out of the podium by two teams they’ve been duking it out with throughout the season. Nothing’s a greater motivator, though, than coming up short, so we can expect Army to head into ECAC’s with a chip on their shoulder and something to prove. What’s going against them: Parallel bars. Army’s 60.7 at USAG’s was far behind the top three teams’ scores on the event, and their season-high of 65.15 ranks low nationally. It would go a long way if Army is able to set a new season-high this weekend. X-Factor gymnast: Cole Casanova. Casanova has competed all-around at every meet this season. That makes him absolutely indispensable to the success of the Black Knights. Casanova had some struggles at USAG’s, so expect him to go into ECAC’s with a vengeance as well. X-Factor event: High bar. High bar has been an up-and-down affair for Army this season. They have a few scores above 65 but have also hit as low as 60.8. Army needs guys like Mathew Davis and Casanova to be pushing the 13-mark to keep competitive with other teams. What’s going for them: Confidence. The Mids have been excellent this year. With the exception of Army, no other team in the ECAC conference has come within striking distance of them. Navy has scored above the 400-mark six times this year and are coming off of a win at USAG Nationals. They should be feeling great. What’s going against them: Road woes. The ECAC Championships will not be in Annapolis as Navy will travel to Springfield, Massachusetts. When they competed in Western Mass earlier this year, the Mids put up their lowest score of the year. X-Factor gymnast: Ryan Mcvay. Kip Simons’ team has been one of the deepest in the country this year. As a result, Navy has not had to rely on an all-arounder to be the back bone of their team. McVay stepped up at USAG Nationals and will look to do it again. X-Factor event: High bar. A No. 6 ranking in the country on high bar gives Navy a leg up over the rest of the conference. Ben Provost and Cash Buske have been stellar on this event all year. What’s going for them: The comfort of home. The Pride will compete in their own arena for ECAC Championships. Their highest score of the season was attained in their own house. What’s going against them: Springfield has not been reaching their full potential as of late. They proved midway through the season they are capable of scoring 380+ but have scored in the 370’s in their last three meets. X-Factor gymnast: Trevor Lamberton. We all know how valuable Stephen Lewis is to this team, but Lamberton has been a steady all-arounder the entire season. They will need him to be at his best and to join Lewis in leading this team. X-Factor event: Parallel bars. The Pride have been solid on parallel bars all year. Led by Jannik Haas, they can put up one of their top scores on this event. What’s going for them: A pair of reliable all-around competitors have emerged. Nobody is unaware of the obstacles that the Flames are facing. Considering that, the fact that UIC has discovered a pair of reliable all-arounders in Xan Weaver and Sam Montague is fantastic. Both have improved DRASTICALLY as the season has drawn to a close, giving Flames fans something to be excited about for this weekend and beyond. What’s going against them: The talent that UIC understandably lost this offseason was tough to overcome – the thing that many don’t consider is the leadership that they lost. Not many realize how important that factor is during a championship meet. Can these young guys not only step up gymnastically, but provide the leadership necessary to withstand six high-pressure events? X-Factor gymnast: Paul Burney. A California product, Burney has the most exciting routine (high bar) you’ll see all day from UIC. The question is – can he hit that routine? There’s a 2.8 point difference between his lowest score and highest score of the year. If he can stay on the bar, it has the potential to provide an emotional boost to the entire UIC team. X-Factor event: Pommel Horse. Ain’t that a surprise. I don’t mean that in a bad way, either, I just mean when isn’t PH the key event? For UIC, it’s especially true. They’ve scored as low as 50 and as high as 61. Fight for your life to stay on, Flames, and you just might find yourselves with a 370. What’s going for them: An experienced senior class. Here’s the ECAC finishes for William & Mary during this current senior class’s tenue: 3rd, 1st, 2nd. Talking about “experience” can be a cliche to a degree, but with guys like Jacopo Gliozzi, Peter Makey, David Allen, Jack Hasenkopf and David Watkins leading the way, don’t be surprised to see W&M push themselves into the top-two. What’s going against them: The Tribe doesn’t really have “a guy.” What I mean is someone who can take over a meet in a similar way to how a basketball player might go ahead and score 50 points in a game. This puts a lot of pressure on every gymnast from top to bottom to be on their game. X-Factor gymnast: Andrew Lyubovsky. Quietly, Lyubovsky is having as good of a rookie season within the ECAC not named Mathew Davis. He’s crucial and has the potential to reach the 14-mark on two big-time events: parallel bars and high bar. X-Factor event: Pommel Horse. Pommel horse is pommel horse, sure. It could be considered key to any team’s success. However, given W&M’s season-low 59.55 at USAG Nationals, it will be interesting to see how they rebound and block that performance out of their mind this weekend. What’s going for them: Rings. Rings has been the Falcons’ most consistent event by far this season. They’ve gotten close to the 68-mark and have only dropped below 65 once. If Air Force can get back into the 67 range this weekend they could earn an advantage over MPSF rival Cal. What’s going against them: Pommel horse. Air Force hit a peak on horse in early February but have struggled on the event since then. They were below the 60-mark as USAG’s, and they’re last in the MPSF on the event. Air Force has the talent to do well, though, so getting back above 63 is wholly possible and would be a huge boon for the Falcons. X-Factor gymnast: Frankie Valentin. Valentin has proven to be a consistent five-event man for the Falcons this season. He also counts pommel horse among his strengths, which makes him an even more critical member of the Falcon squad. Air Force will need another strong output from Valentin to challenge Cal this weekend. X-Factor event: Floor. Air Force is a good floor team, but their 64.1 last week belied that fact. The Falcons have gone above 68 a couple of times this season, and they need a strong score like a 68+ to help offset pommels and high bar. What’s going for them: Low expectations. Before you freak out about how bad that sounds, let me explain. The story of MPSF Championships is all about Oklahoma and Stanford and how they’ve yet to compete against each other in 2019. Quietly, Cal has a real shot at getting back into that 405 territory, and they won’t have any added pressure on them. You’d be amazed how easy it is to compete when nobody expects anything of you. I think this sets Cal up for a potentially solid weekend. What’s going against them: Capped upside. Based off of what we’ve seen from the Golden Bears, it’s clear their sweet spot is in the mid-high 390’s. Six of their nine meets this year have resulted in a score between 395.4 and 398.8, just a 3.4 point gap. Cal has the end-of-lineup horses, but it’ll be the somewhat weak front-ends that will determine if they can break out of that sweet spot. X-Factor gymnast: Aaron Mah. The emergence of freshman Darren Wong has made it easy to forget how great Mah is. While the senior hasn’t had as big of a year as he did in 2018, he’s still more than capable of reaching 14 on nearly every event. X-Factor event: Pommel Horse. For many years now, PH has been the Achilles heel for Cal. In 2019, however, there have been signs of improvement. Wong has helped things, but after scoring 64.5+ in three meets, the Golden Bears closed out the year with a pair of sub-63.5’s. What’s going for them: Yul Moldauer. Moldauer is the best gymnast in the country. He epitomizes gymnastics excellence not only by always hitting, but also always scoring high. What more could the best team in the NCAA need? X-Factor gymnast: Genki Suzuki. Suzuki is a stud on parallel bars and high bar and can hold his own with the best on those two. But perhaps more importantly, he’s a solid, consistent competitor on pommel horse, the one event OU is weak on. X-Factor event: Pommel horse. OU’s worst meet of the season — against Iowa on Feb. 9 — was severely dampened by their horse performance, and horse is the one event OU ranks outside of the top three on. So if there’s one thing that could trip up the Sooners, it’s horse. They’ll need a big performance from Moldauer and consistency from guys like Suzuki to ensure that doesn’t happen. What’s going for them: Brody Malone. The freshman has been in the MVP conversation the entire year. With four scores of 84+, Malone has proved that he is the real deal and can lead this team to big things. What’s going against them: Oklahoma. This may be too literal, but the Sooners are really all that’s in the way for the Cardinal. Stanford has been a spectacular team this year but are still going up against a juggernaut. They will have to do everything right to dethrone Oklahoma. X-Factor gymnast: Grant Breckenridge. The talented senior has strung together two straight 81+ all-around performances. When you are going up against a team as strong as OU, one standout six-event guy isn’t enough. Breckenridge will have to put a big performance to will his team to a win. X-Factor event: Vault. Stanford is ranked in the top two on every event this year except vault, where they are No. 6. This wouldn’t usually tip the scales, but they will need every tenth to take down OU who are exceptional on this event.